This is the post that I have not gotten around to doing. 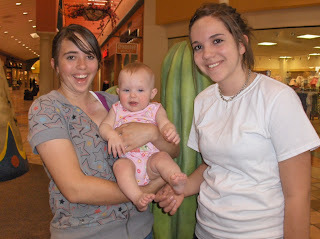 But here it is, our trip to Tucson. While putting together the photos for this post, I realized that I did not take a lot of pictures for some reason. 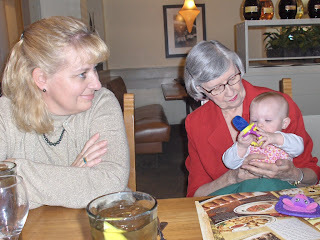 If you are interested, my mom has some additional photos on her blog, here. This trip took place on March 11-17. 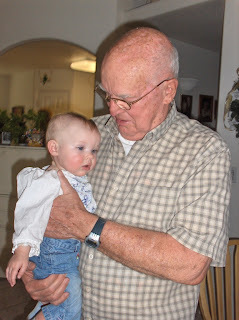 Avery had not seen her grandparents and great grandparents since before Christmas, so we decided it was time. She had cut teeth and started crawling since we had seen them last. 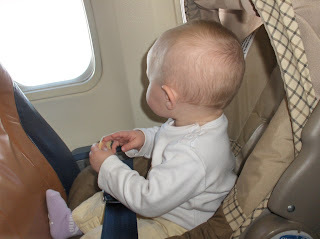 While on this trip, she learned to sit up without propping over on her hand, she learned to climb up and down one step, she started dancing to music (more like bopping), and she started a little bit of separation anxiety. Being in a different place really highlighted how much change goes on in 1 week! This video is of her climbing the step. 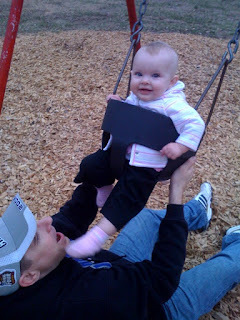 I tried getting the down too, which took her longer to master, but she was too distracted by the audience for me to get that on film. 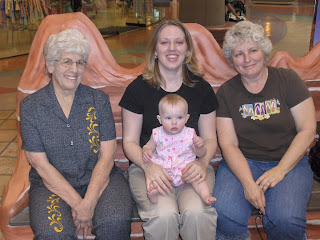 We visited several times with Grandmom and Granddad and Julie. This was also the first time Julie's husband Carl met Avery. 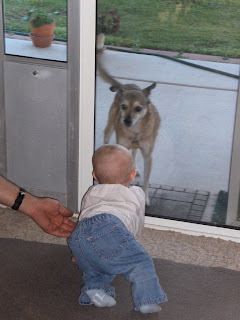 At Grandmom and Granddad's house, this was as brave as Avery got to playing with their dog. One afternoon we hung out with Samantha and Courtney. We grew up with them and their parents. These two were in my wedding. I can't believe how they have changed! We also took some time to take the 'Ladies of the Generations' shot. Although this is not the best one of the photo shoot. 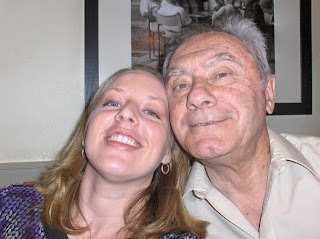 This is just a for fun picture of me with my Papa. Notice he shaved! 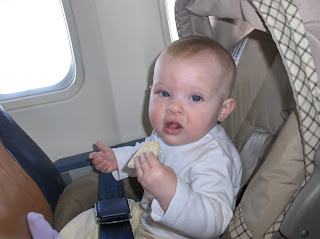 On the way home there was enough room on the plane for Avery to have her own seat. She loved it! And it made the trip home much easier then the trip out there where she sat on my lap most of the trip. Now, to really play catch up. These last 2 pictures are from the weekend before our trip to Tucson. My sister, Amber, came up for a visit and she took these for us. And Avery at church in her nursery class (which she loves). And that is all! I am now caught up. With my record, you can probably expect to not see another update until she is starting Kindergarten. But hopefully not!